The possibility of our disability or incapacitation can be an uncomfortable thought to face. But planning for such an event—however unlikely it may seem—can help you ensure your family, financials, and medical care will be in good hands. When planning for your estate and future, it may be wise to set up a durable power of attorney, a legal document that appoints a trusted individual to act on your behalf in the event that you become disabled or incapacitated. When you assign an agent for your power of attorney, he or she must act according to the terms, conditions, and limitations you specify in your document. By creating a durable power of attorney, you can avoid court intervention and the chance that someone you do not know or trust will be assigned to manage your affairs if you become disabled or incapacitated. One of the most important decisions you are faced with when setting up a durable power of attorney is who to appoint. You should choose a trustworthy individual who is organized and responsible, and who will be willing and able to handle the duties of paying bills, taking care of legal matters, and handling your investments. In some situations, appointing a family member or relative may make sense, while, in other circumstances, choosing an attorney or financial advisor may be a more wise choice. 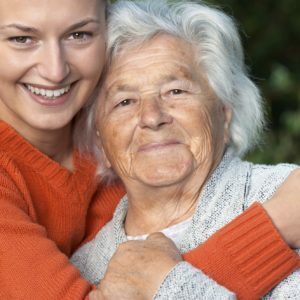 Considering the many responsibilities involved in this task, you may desire to appoint multiple agents to your durable power of attorney so these agents can share duties. If you decide to appoint two agents, be sure to include provisions in your document that allows each agent to act independently. If you require both agents to act together and make decisions jointly, this can make it difficult to perform tasks efficiently, because both agents will have to sign off on checks; legal and financial documents and create problems when agents cannot reach agreement on certain issues. Unable to serve. The person or persons you appointed may be unable to serve if they have not survived you, or if they have become disabled or incapacitated themselves. For instance, if your spouse becomes very ill, he or she may not be able to act on your behalf. Unwilling. Acting as a durable power of attorney agent on your behalf is an enormous, oftentimes overwhelming responsibility. It could be discovered too late that the individual you appointed is not up to the task or that they had made a mistake in thinking they could serve when they initially agreed. Unreliable. Because the durable power of attorney document gives your agent virtually unlimited authority over your affairs, there is always potential that this power will be abused. If your agent is charged with mismanaging his or her responsibilities, a court may revoke their power and assign duties to the alternate agent you have named. Choosing the right agents to act as your durable power of attorney is an incredibly weighty decision, so it’s a good idea to seek legal counsel when drafting this type of document. A skilled and experienced Orlando estate planning lawyer may be able to provide invaluable counsel and guidance through the process and help you to draw up a document that clarifies your wishes and minimizes opportunity for error. If it makes sense in your unique circumstances, your attorney herself or a trusted professional that she recommends, could act as the trusted agent for your durable power of attorney.